If you have seen landing pages in websites before, you can quickly recognize that they are very limited in what they show. There are few, or no menu bars or many links, the text could be enlarged, you might see showy graphics and there could also be a video that plays automatically. Landing pages are definitely not like any other page on most websites, but that is not a bad thing by any means, as they serve unique purposes to visitors that might stumble upon your business in one of multiple ways. 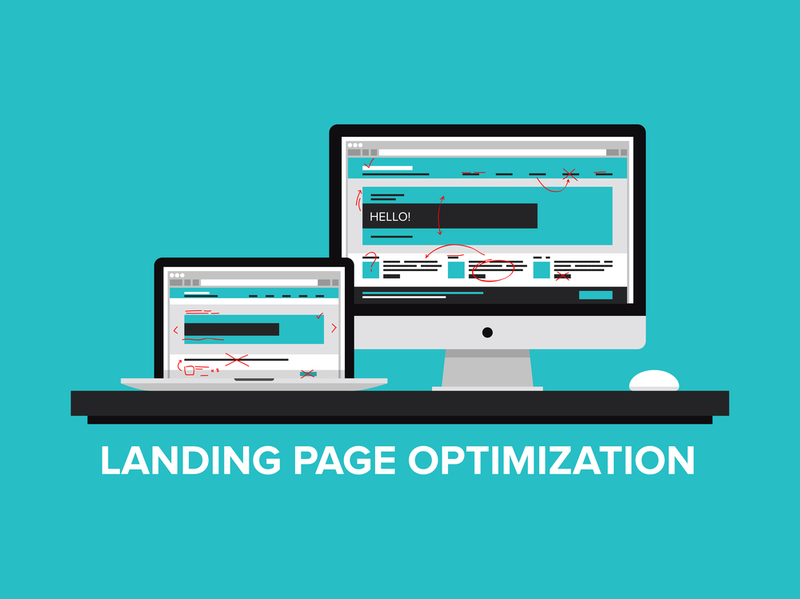 A landing page is a type of web page that visitors “land” on. More specifically, it’s the first page that a reader is intended to visit on a web site. Readers get to a landing page on a website in one of many ways: From an online advertisement, a link from a social media post, an email, results from a search engine and more. In many cases, the landing page has a design that is unique from the other kinds of pages in a website. Landing pages are meant to restrict the visitor’s options and force the visitor to focus on specific information so that visitors can engage in conversation with other people that they know. Landing pages do not offer any sort of navigation to other parts of your website so that visitors can keep themselves from becoming distracted. Landing pages may be hosted as part of a company’s website or thought a standalone service that creates and hosts landing pages for a living. One such service is WordPress, with plugins that allow website owners to create their own landing pages. No matter where the landing page is located, its primary goal is to guide visitors towards your conversion goal, with no distractions, and in ways that would not bore or disinterest them. Below, you will find information about two major types of landing pages: lead generation and click-through landing pages. What Are Lead Generation Landing Pages? These types of landing pages are used to collect data left by visitors. The main objective of a lead generation landing page is to allow you to obtain information about visitors so that you can contact them at some point in the future. Lead generation landing pages include a form and details about what the drive is for visitors to complete the form and submit it to you. While collecting information is the primary purpose, there are a few other uses for lead generation landing pages. Apart from gathering data from visitors, you can use this kind of landing page to encourage them to become ongoing members of your website. Companies today offer something for free as a reward for registering, such as a free trial of a service, a free webinar, or a coupon for goods and services that you might sell. All of these things are decisive factors for visitors registering to your website. Additionally, a person might cancel their registration, and when that happens, you can still consider contacting them once more in the future. One important part of marketing for any type of business is to build and manage a list of emails that are owned by active and potential customers. Lead generation landing pages are a big way to help this list of yours grow and to bolster your marketing efforts. 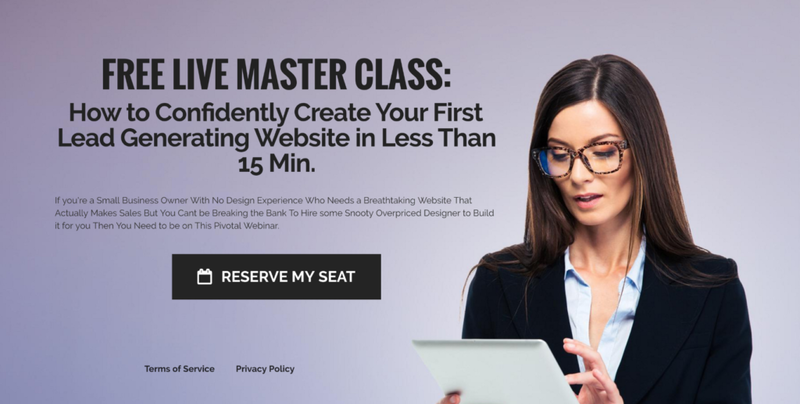 These landing pages are one of the most useful means of obtaining email addresses, even when compared to pop-ups, referral programs, or social media posts. When you make a landing page that presents value and zero obligations (also known as reasons to say no), you are going to be successful in attracting visitors and grabbing leads. To encourage visitors to give you their email address, you can offer discount codes, free eBooks, white papers or free shipping products, and these things can also incline visitors to choose you over a competitor. Many people love being the first to know about exciting deals and early sales, so offering a pre-order or a notification of a members-only product will encourage customers to show you their contact information. When customers feel like they want to be included in a group that is exclusive from the rest of your customer base, they are eager to take advantage of what you may offer when you have their email address. What Are Click-Through Landing Pages? As the name suggests, these landing pages are meant to encourage visitors to click to another page that you want them to go to. You may have also heard them referred to as “Bridge Pages”… as they create a bridge between initial source (ad, blog post, etc) and the final destination… but sometimes it requires a little bit of pre-framing first. These landing pages commonly serve as marketing tools that offer short and sweet descriptions of a product or service that encourage the visitor to take the necessary action on the next page. Landing pages are almost a requirement for each email marketing campaign. When visitors click the intended link within the email message, they are expected to be directed to a web page that gives them more information and a specified call to action. If your email advertises an event, service or product, the landing page must be able to give them further details without advertising anything else or other companies. The integration of email marketing and a professional landing pages is an effective one-two punch to help build engagement and raise conversion rates. Studies have shown that customers that engage with companies via social media spend twice as much time with the companies that they’re loyal to more than the average visitor. Customers who click on social media ads or are found via social media campaigns are considered to be special and worthy of a landing page of their own. Instead of clicking on through to an ordinary home page, customers who click a link from Facebook or Twitter will expect the landing page to appeal to a social media enthusiast in mind. Social media landing pages normally offer as little text as possible, a clear goal or message and portray the same content shown inside a social media post or advertisement. Many companies in the present day generally do business in one location, but they also provide service to various different places around the country or even around the world. For instance, if you own a local cab service in Seattle, but want to expand your business to all of northwest Washington, geo-targeted landing pages can allow you to produce multiple web pages made to target certain areas of Washington. The landing page will attract visitors who are looking for rides in towns and cities other than Seattle and will show them to a call to action such as scheduling a ride. These pages are commonly created to tie in with the main website and can be found in its site map so that visitors can find these pages through a search engine. Service targeting pages function similarly to geo-targeted pages, but they specialize in a single service. For instance, a locksmith can offer a broad range of lock services, from doors to cars. Most locksmithing websites will display a large list of services that are offered, which may or may not be helpful to a visitor that is in search of solving their specific problem at hand. Service targeted landing pages involve the creation of one landing page for each service that you might provide, such as serving people who are locked out of cars, people who are locked out of homes, 24/7 emergency services and more. With service targeted landing pages, a business can make their business more searchable by creating more ways for their website to be found online. Hopefully this is a good start for you… as we shared the most common kinds of landing pages, in addition to how they can work to serve you and your business. Once you have a good idea of what landing page or pages will be most helpful to achieve the goals you desire, you can help yourself to one of many ways in which you can create and manage landing pages. There are products and services available to you that vary in price, features, and level of experience, so you are sure to find the one that is right for you and your company. With the rise of services that are user-friendly and more advanced than ever, you are no longer required any skill or talent to make a landing page by yourself. Pro Tip: We use these guys for a super simple (think Homer Simpson simple) Landing Page creation tool… and have for years! Very Happily! Landing pages are great tools to help collect important information from thousands, if not hundreds of sales leads, which in turn improves for marketing efforts and builds a strong connection between the buyer and you, the seller. Creating an internet presence expands beyond the actual website to social media, email marketing, and content management systems. All of these areas of your company can be bolstered thanks to an effective landing page. Make sure that you include multiple landing pages in the various aspects of your marketing campaign.